Dunkin Donuts: My personal fav! They are BOGO today– get a free medium hot coffee with the purchase of another medium, large, or extra large. Krispy Kreme: FREE hot coffee of any size or a FREE small iced coffee every day from 9/29 to 10/1. 7-Eleven: 9/29 to 10/1, new and existing 7-Eleven rewards members can pick up a FREE coffee of any size, one per day! Cinnabon: FREE 12 oz coffee all day on 9/29. Perfect combo for that cinnamon roll! Tim Horton’s: FREE coffee in any size when you use a coupon available through their app. The Book Lover’s Guide to Coffee is 31 pages of pure black gold (or golden or tan, depending on how you take your coffee). 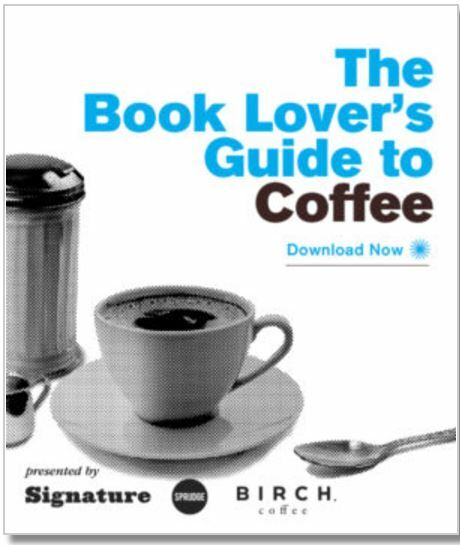 This guide can be downloaded for FREE, and it is all about the crossroads of literature and coffee, featuring original essays by authors, reporters, and food writers. The guide covers topics ranging from the history of coffeehouses to references in literature, to making the perfect cup and taking stellar book and coffee photos, plus much more! Included, too, is a fun and extensive infographic photo including (to name a few) a timeline of coffee and book pairings, coffee rituals of authors, and famous independent bookstore/coffeeshop combos. I’ve been to the #7 shop on the list and reviewed it! I’ll include a preview of the infographic at the end of this post. You can view the full infographic and download The Book Lover’s Guide to Coffee here. Even if you aren’t a coffee drinker (!!! ), you’ll enjoy the fun facts and history included in this infographic and guide. 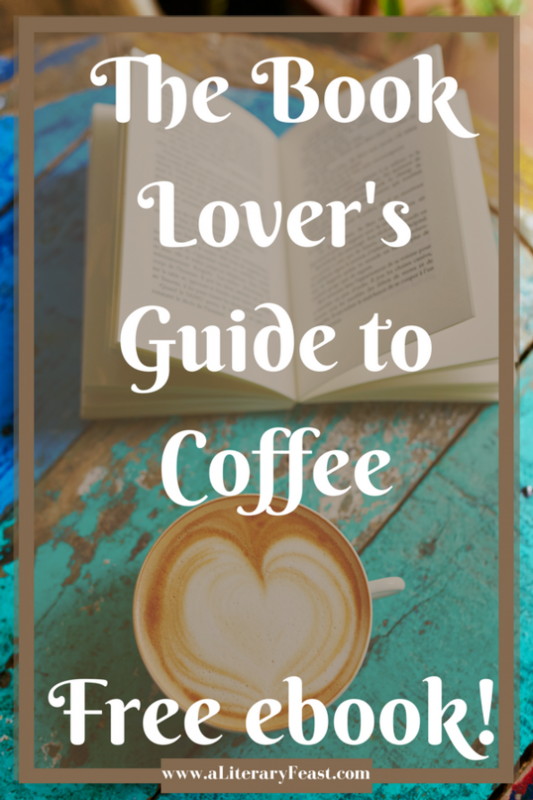 If you are a coffee drinker and want to breeze through this coffee and book guide, go back for another! According to this, five cups of coffee is optimal for enhanced reading speed. I know that you are buzzing around as busy as I am, yet we always have time for a cup of coffee, right? Even if it’s unintentionally cold by the time we drink it. I also always find time to read about coffee, whether it’s the best way to brew it, unique facts about it, or comics devoted to it. So, in honor of the greatest of all holidays, I’m happy to be able to share this wealth of happy reading about two of my favorite topics: books and coffee. Enjoy! P.S. Why is National Coffee Day not a federal holiday? We need to get paid time and a half to support this habit. P.P.S. Keep scrolling for some fun coffee day ideas and a brainteaser! Surprise your favorite barista with a gift card to…. anyplace besides a coffee shop, lol. 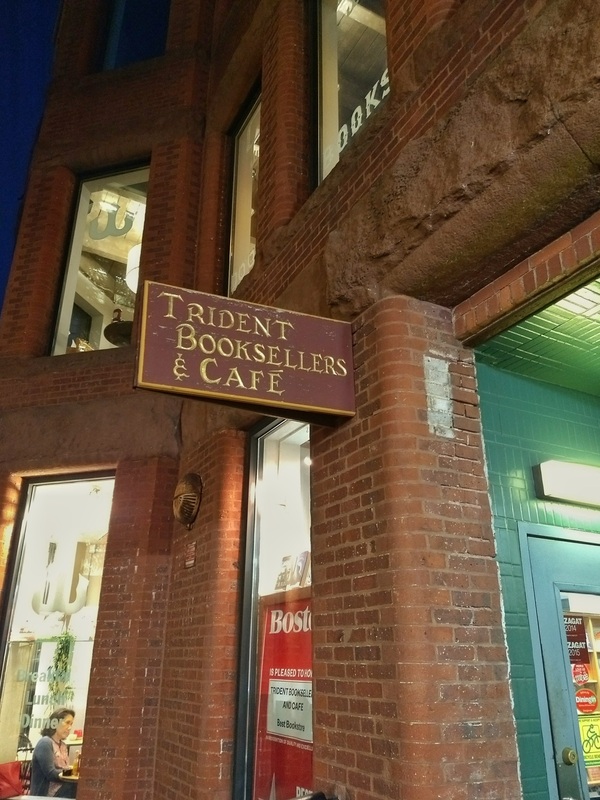 Maybe a book store? Try a new method of brewing coffee. I recommend the Aeropress. Best cup of coffee for busy moms! Send a FREE National Coffee Day ecard from Punchbowl. Go to a coffee cupping! That’s like a wine tasting, but even better. Take a coffee nap. That’s when you drink a cup of coffee, then immediately take a 20 minute nap. You’ll wake up both refreshed and fully caffeinated! No time for a nap? I prefer this, actually. Try a fika. You know how we are always go-go-go? Well, in Sweden, they insist that you slow down with your coffee and truly enjoy it. I’m all for that! Make sure you add a yummy coffee cake to your fika! Here’s a cinnamon roll one that looks delish. For my gluten-free friends, try this cinnamon roll cake! Take some time for yourself at the end of the day with a coffee face mask. 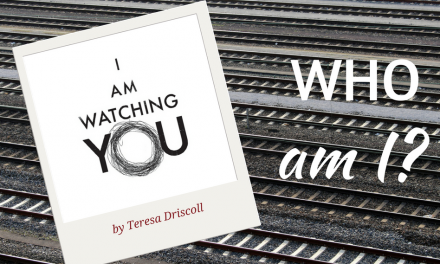 Need a little more nighttime reading? 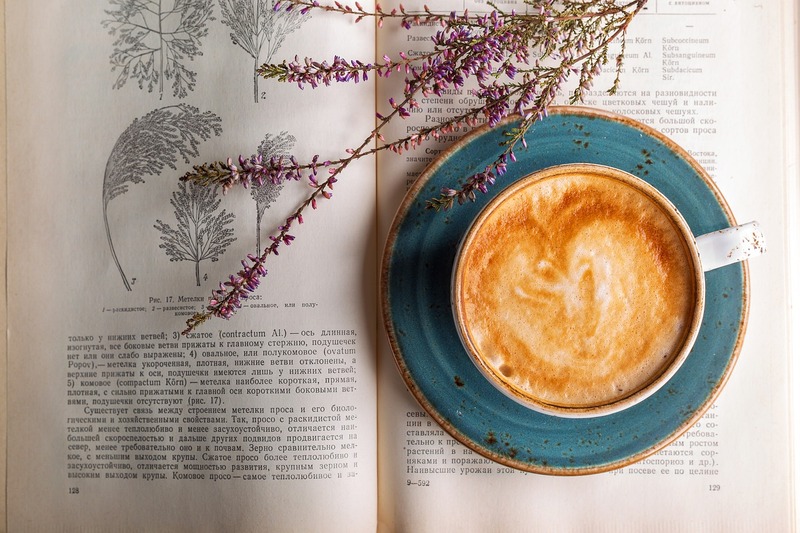 Check out this article titled 13 Books for the Coffee Obsessed. This is a lot of info! Pin this to your favorite coffee board so you can come back to it later. I vote for Coffee Day to be international. With double pay. And reading breaks at work. I second that vote! There is an International Coffee Day, I think two days after National Coffee Day (weird). Wow! The part I love most is coffee mask and coffee scrub. Great post. Thanks for sharing. I know! I want to try that, too. Seems invigorating. What a fun book! I love anything coffee!!! Me, tooooooooo!!! It’s my lifeblood.